Valve recently released enhancements for new users' experience to Dota 2 and will remove all restrictions to playing the game. Dota 2 came out of beta in July and in the half year it's been available, Valve used a gated sign-up system to ease in numbers of players. In a blog post yesterday, the company announced, "The age of sign-ups has ended." The game will now be open to everyone. The gated community was used to set up a stable infrastructure, gradually increase the playerbase, and improve the experience for new players. With new server management upgrades and enhancements to the new user experience, there are no more restrictions to playing Dota 2. "We encourage everyone to join the 6.5 million active monthly users currently playing Dota 2," the blog post reads. The free-to-play game is one of the most played games on Steam, Valve's digital distribution platform. For those already playing the game, recruiting a friend to play Dota 2 as a new user rewards both players additional bonuses. Dota 2 is a real-time strategy multiplayer online battle arena game. Players control a hero, choosing one from about 100 choices, in a team of five to fight the enemy's team. Traveling through three lanes, the teams must battle through creeps and defensive towers and defend their respective Ancients. The game is extremely competitive and has its own tournaments. 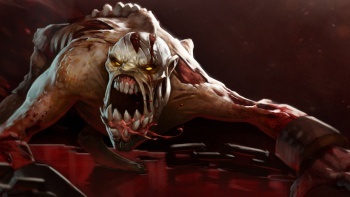 Dota 2 can be difficult for newcomers to get used to, but it has a very active community. Dota 2 is available on PC, Mac, and Linux.